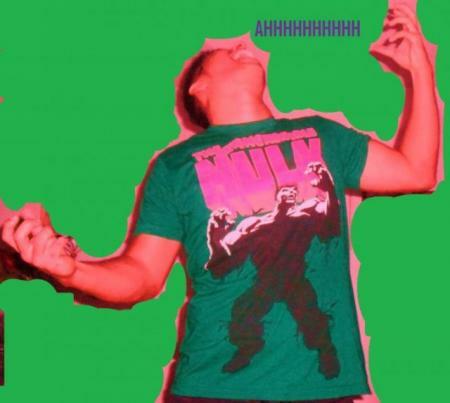 This is a picture of me and my Incredible Hulk tee shirt. The Incredible Hulk is a comic book hero I group up with that reminds of my childhood, when I was oblivious to all world's worries. Anything having to do with the Incredible Hulk brings my joy. I hope it does the same for you.